It’s 50 years and the spirit continues. It’s a movement that has been loved and hated by many alike. It’s also a movement nobody can never ignore. But has it been understood properly? Lots of blood, violence, sacrifice, nostalgia, romance and adventurism have been attached to it. There is no limit to the misunderstanding on the Naxal movement in India. Of course the state, its propaganda machinery and the media supporting it, has always succeeded in portraying it in a different light. The Naxal’s inability to get over this also has contributed to this misunderstanding. Firstly, the Naxalite movement is not the handiwork of some angry young men as often portrayed. It’s the social conditions that existed during the late sixties and seventies that gave birth to it. Somewhere in India, it had to happen and it happened in Naxalbari, the Bengal village. Hopes were soaring high when India got independence from the British. But soon hope gave way to disillusionment. Those who had pinned their hopes on the Communist Party of India were also disappointed. The great Telangana armed struggle, which many thought had the potential to lead the revolution, was deceitfully withdrawn. The discontented cadres formed CPI-M. But that experiment too proved to be an attempt in vain. Internationally too discontent was brewing. The Soviet experience was proving to be a failure. But Mao stood up as beacon of hope. “Bombard the party headquarters“ was the call from China. The Great Proletarian Cultural Revolution showed the path. As Tariq Ali said, those were street fighting years. Naxalbari was inevitable as were the liberation movements in Latin America, the martyrdom of Ernesto Che Guevara, the student revolt in Paris and the Black Panthers in the US. Naxalbari movement and the current that followed was the result of an ambition to carry out the Indian revolution. It broke away from revisionist tendencies that had gripped CPI and CPIM. And it categorically made clear the path of Indian revolution. It was armed struggle with agrarian revolution as its content. And it made comparatively better analysis of Indian societies’ class characters and existing modes of oppression. Fifty years on, and now it’s described as the greatest internal threat to the system. Definitely it’s a description the Naxalites would be proud of. As said earlier, many misunderstandings exists among people with regard to the Naxalites. Many seem to view them as different from communists. Actually Naxalites or Maoists, as they are known now, are communists themselves. 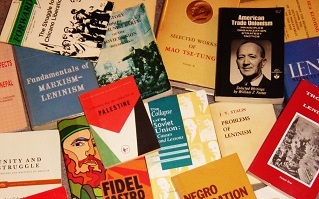 In fact, their contribution in developing Marxism-Leninism-Mao Thought into Marxism Leninism Maoism, in short Maoism, itself along with Peru Communist Party is acknowledged by most communist parties across the globe. 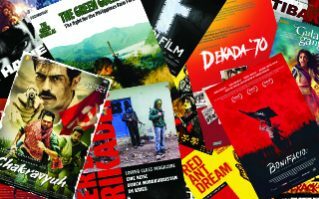 After the setback Marxism faced following the capitalist restorations both in Soviet Union and China and the postmodern onslaught that denied any role of a vanguard party, Naxalites came forward and boldly addressed the challenges ideologically . 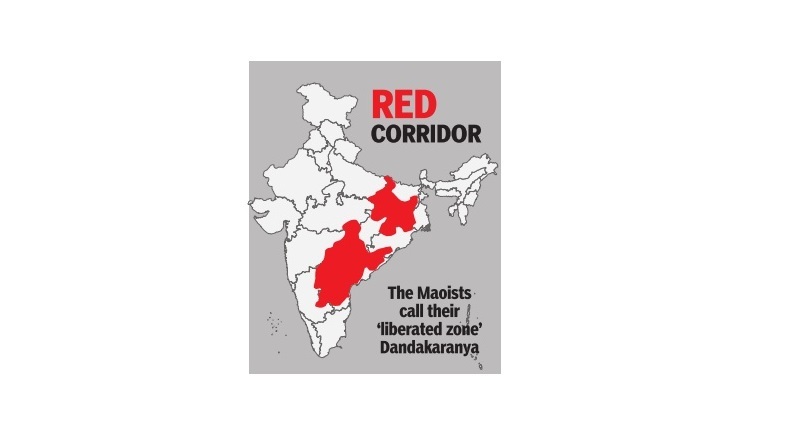 Yet another misconception about Naxalites is that their party is for the uplift of adivasis as their strongholds happens to be adivasi belts of India. The Maoist party is actually not an adivasi party , it’s a communist party that aims to engineer a New Democratic Revolution in India. Unlike mainstream communist parties, Naxalites honestly tried to address distinct questions like caste and made headway in these fields. No wonder an adivasi like Misir Besra and a dalit like Milind Teltumbde are leading the movement. Naxalites might not have succeeded in making revolution. But the impact it has created in India can’t be denied. Be it in the field of culture and literature or any other field, nobody can downplay the role played by them. Even the new social movements opposed to Marxism were initiated by former Naxalites across India. Even so-called development work in backward areas are to counter Naxalites. In a state like Kerala, the namesake land reform was made thanks to the growing influence of Naxalites and some of their violent acts. As a party banned in the country , the Maoists’ strength can’t be assessed easily . But it’s obvious that despite severe oppression they remain strong. A system that is violent to the core, will find it difficult to counter Naxal violence. From direct violence using armed forces to structural violence, including poverty and inequality , the state remains violent to the core. The sole solution is giving up this violence. As long as this doesn’t happen, Naxalites are likely to thrive.